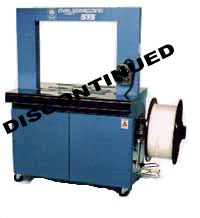 M-515 Automatic Strapping Machines The Model 515 has been discontinued by Ovalstrapping as they consolidated their product line. We suggest the P710 as the M-515 replacement or, for a more durable machine, we suggest the M-415 as a heavy duty machine. Materials - Click here to see a sample of some of the polypropylene and polyester strap we carry. 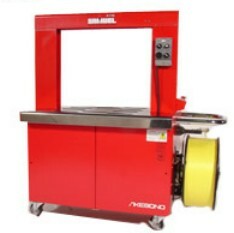 P-710 Automatic Strapping Machines The Model P710 is a newer design made by the same manufacturer as the Model 415, and was introduced about 2 years ago to compete with less expensive machines on the market. It is slightly lighter in design with very few interchangeable parts with the Model 415. 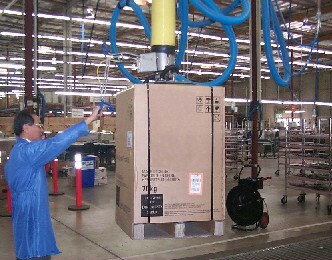 Materials - Click here to see a sample of some of the polypropylene strap we carry. 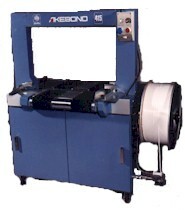 M-415 Automatic Strapping Machines The Model 415 is a machine whose exceptional performance has proven its durability since introduced in North America more than 15 years ago. 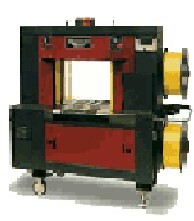 Our experience is that the Model 415 is the most durable and most reliable machine available in its price range. It continues to be manufactured for this reason. 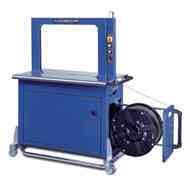 Strapmaster Strapping Machines - Ovalstrapping's Strapmaster introduces Servo Drive technology and a machine that can strap up to 45 cycles per minute.